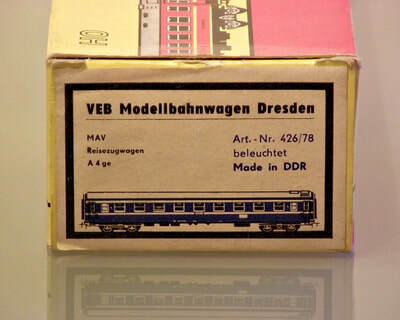 The BR 24 was a passenger locomotive built by the "Deutsche Reichsbahn" between 1928 and 1939. 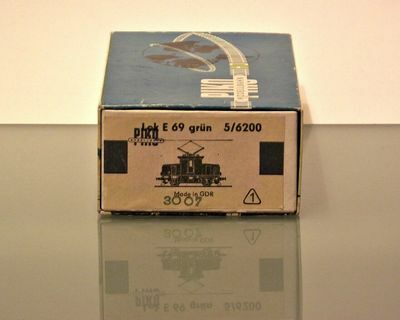 It was operational until 1972. 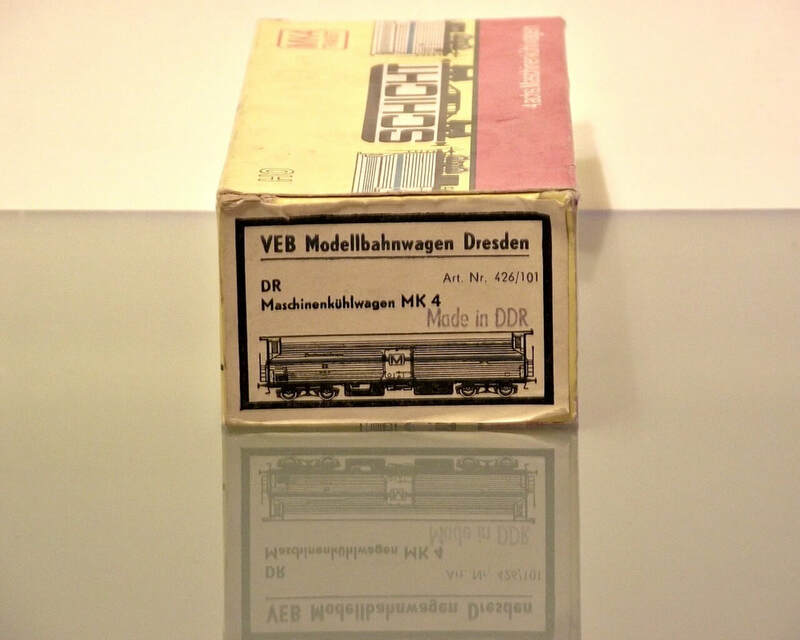 The scale model presented here was made by Gützold (east German manufacturer) at the H0 scale. 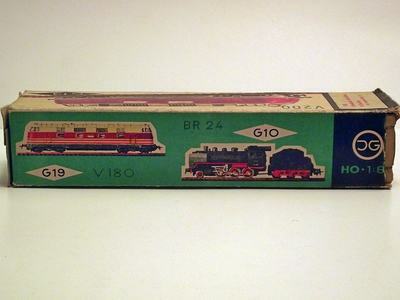 The project number was G10, and it is one of the oldest model that was made from 1972. 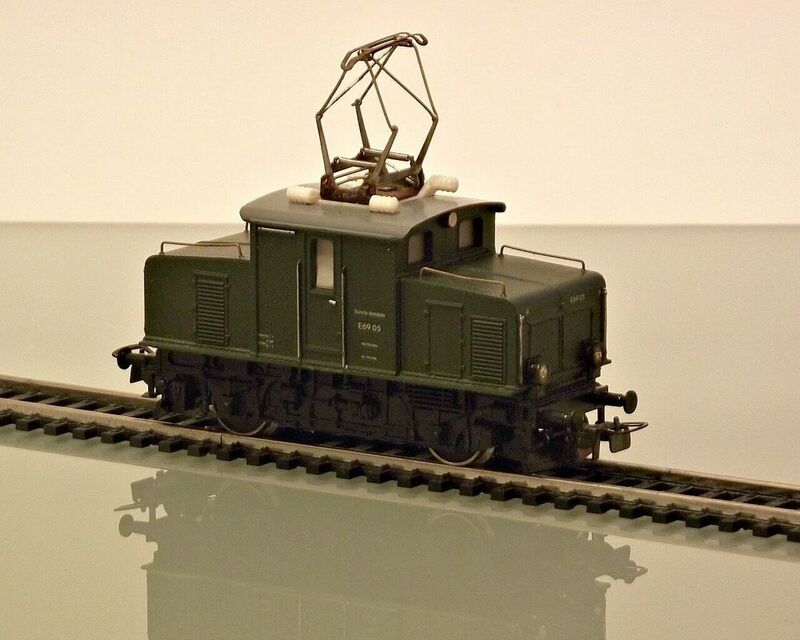 It uses a DC electric motor that is powerd via the railtracks connected to the battery operated or mains powered control unit. 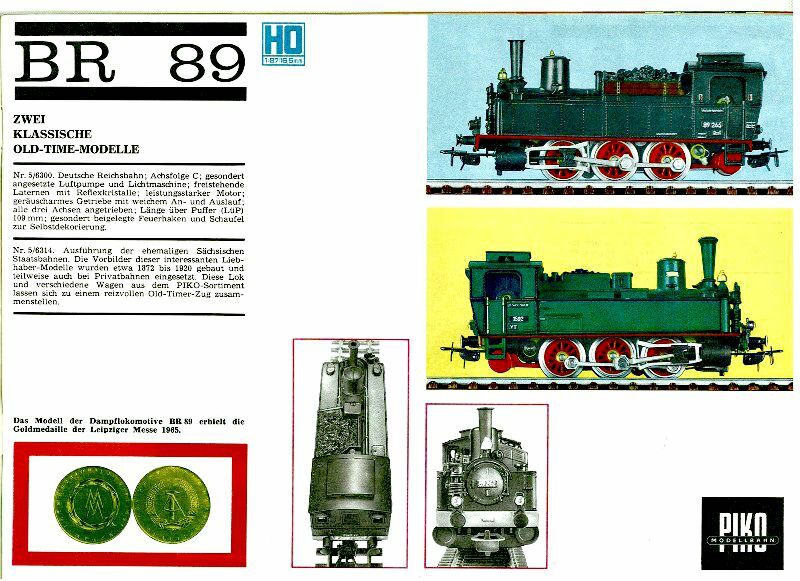 The BR 89 was a german locomotive built in several variants by the "Deutsche Reichsbahn". This is the Saxonian VT variant operational between 1872-1967. 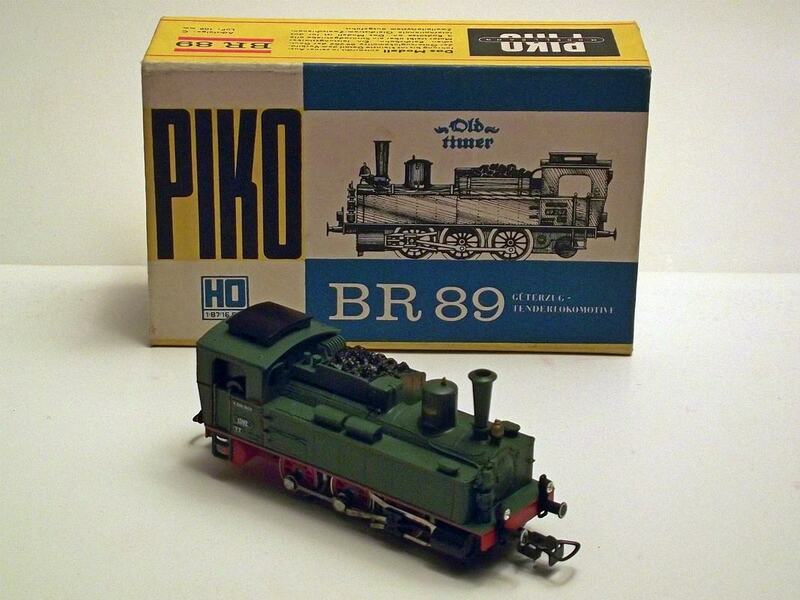 This BR 89 scale model was built by PIKO (east Germany - DDR) at a 1:87 H0 scale. 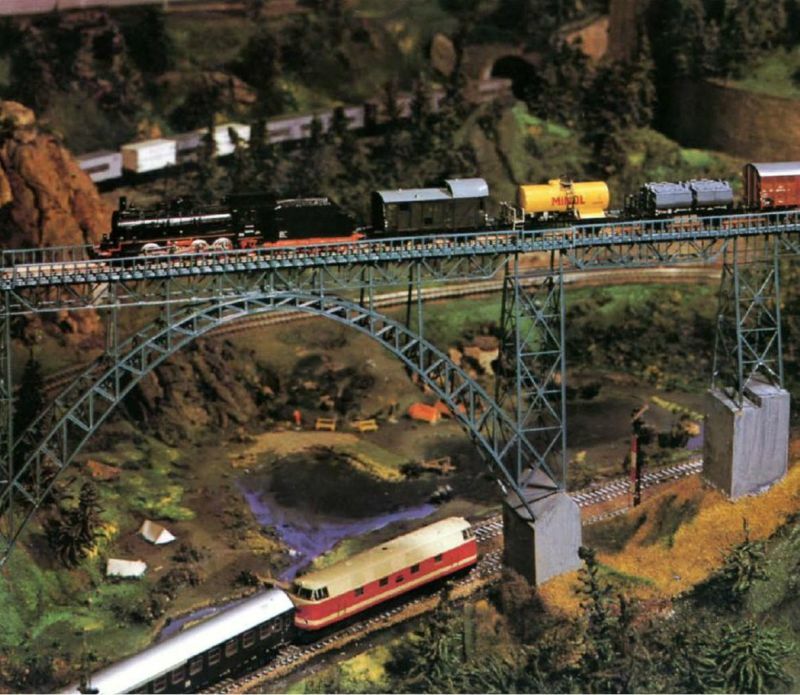 It was purchased around the early 1980's - catalog number 5/6314. 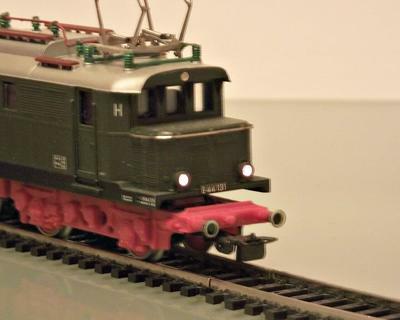 It uses a DC electric motor that is powered via the railtracks connected to the battery operated or mains powered control unit. 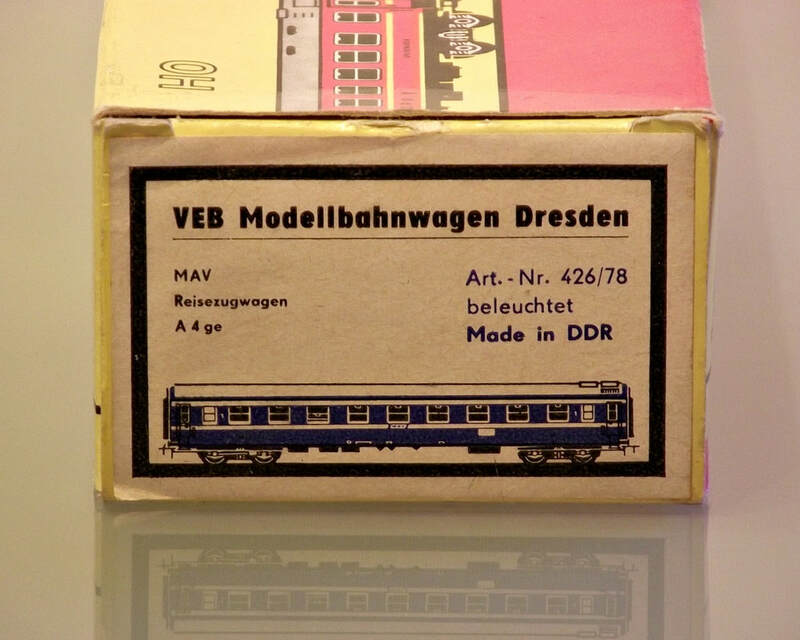 The model received the Gold medal at the Leipzig fair in 1965. 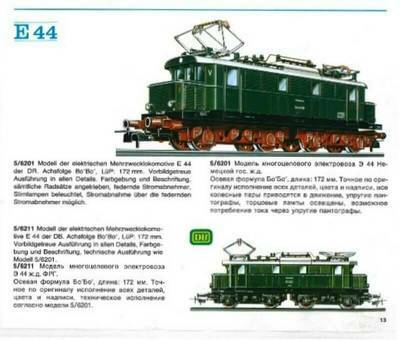 This is the model of the electric universal locomotive E44 of DR (Deutsche Reichsbahn). 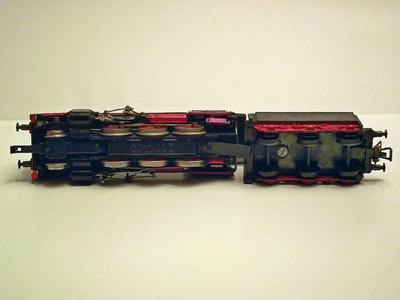 Axle arrangement Bo'Bo', lenght: 172 mm. 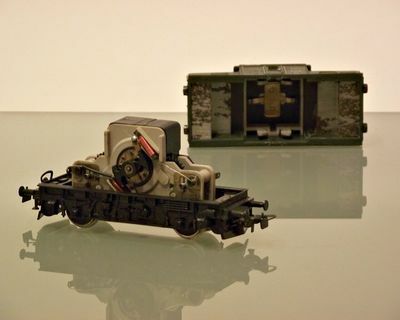 ​All wheels driven by two 12 V DC electric motors. 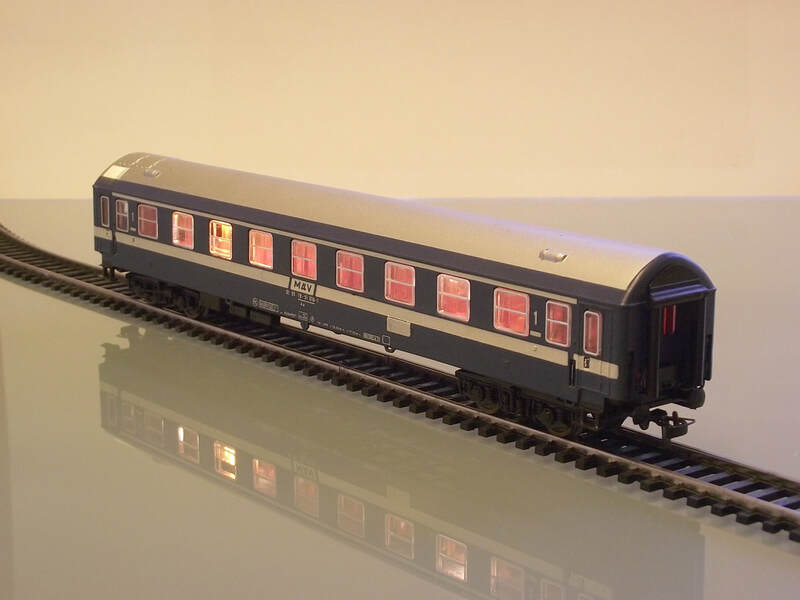 Operates via DC curent from the rails or power supply from overhead line, sprung trolley contacts and front (V) / rear (H) lamps lighted. 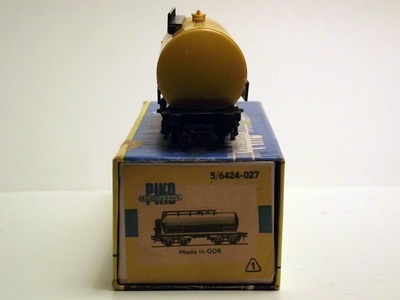 ​The PIKO catalog number is PIKO Nr. 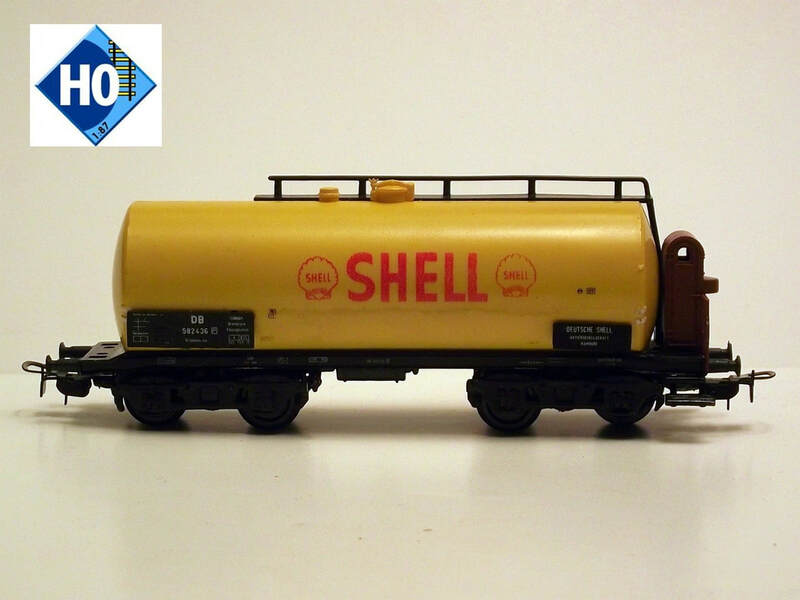 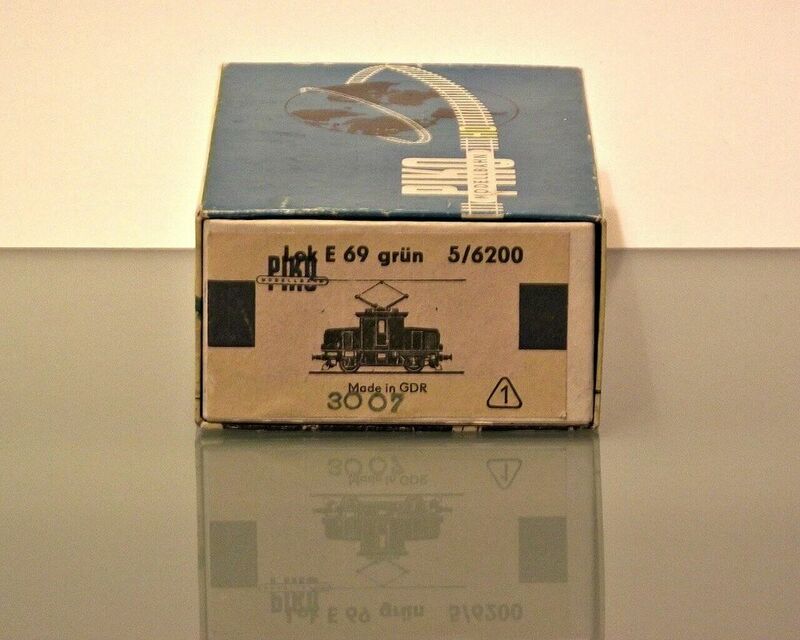 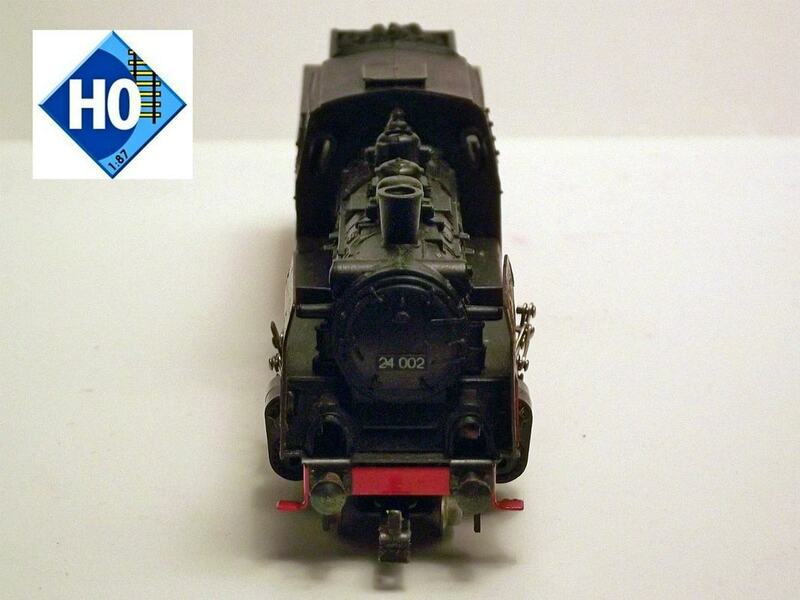 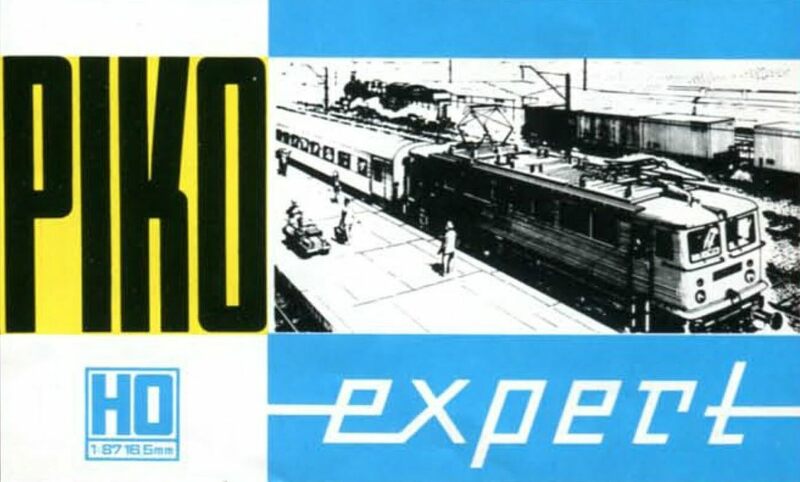 5/6201 and the pictured model is part of the PIKO expert Nr.5/0526 starter set. The first electric railroad was open in Germany between Murnau and Oberammergau by private company LAG. 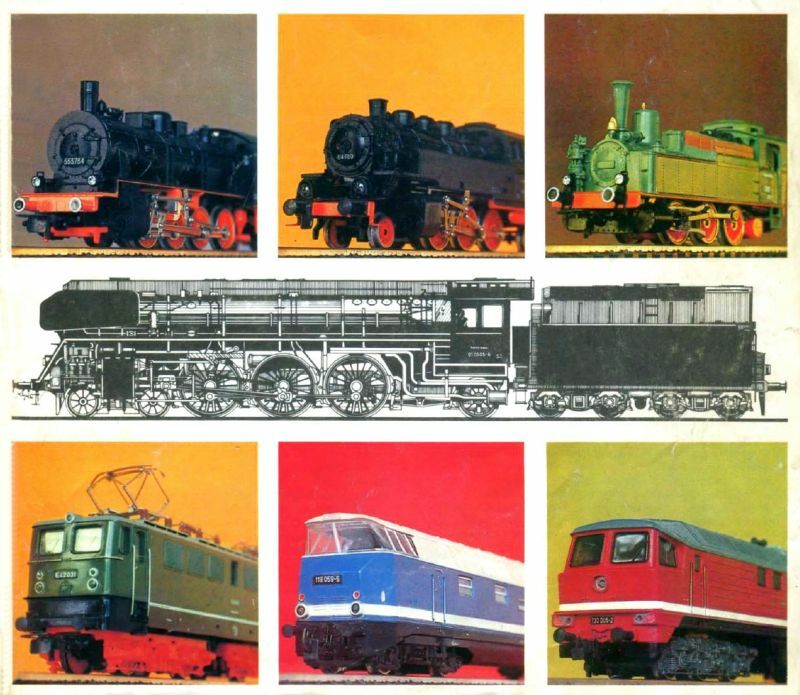 The five electric locomotives named LAG1...5 were renamed into E69 when Deutsche Reichsbahn took over the company in 1938. 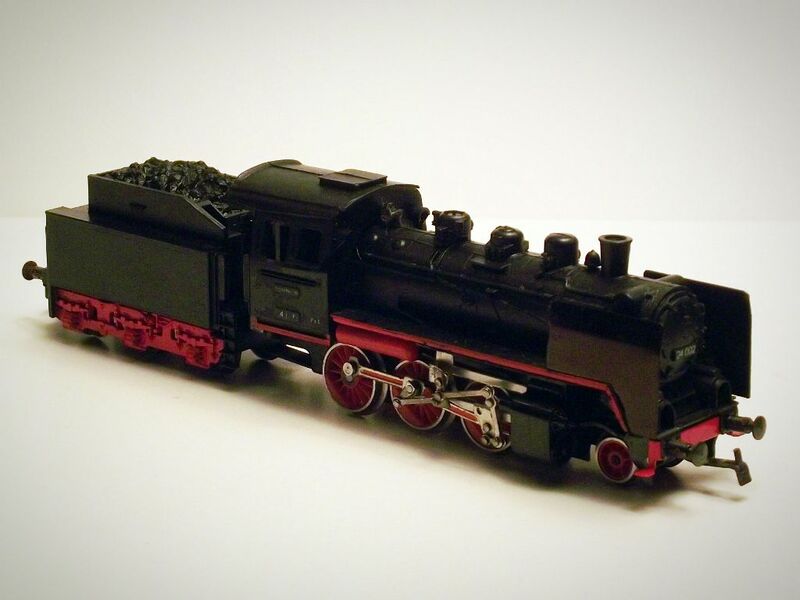 ​Pictured here you can see the E69 05 (PIKO Nr. 5/6200) electric locomotive built by PIKO at HO scale. 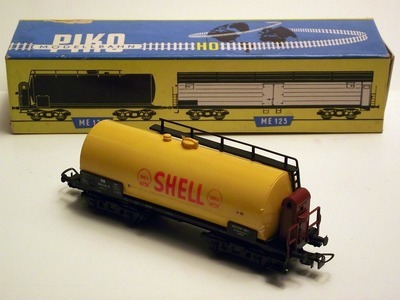 The PIKO Nr. 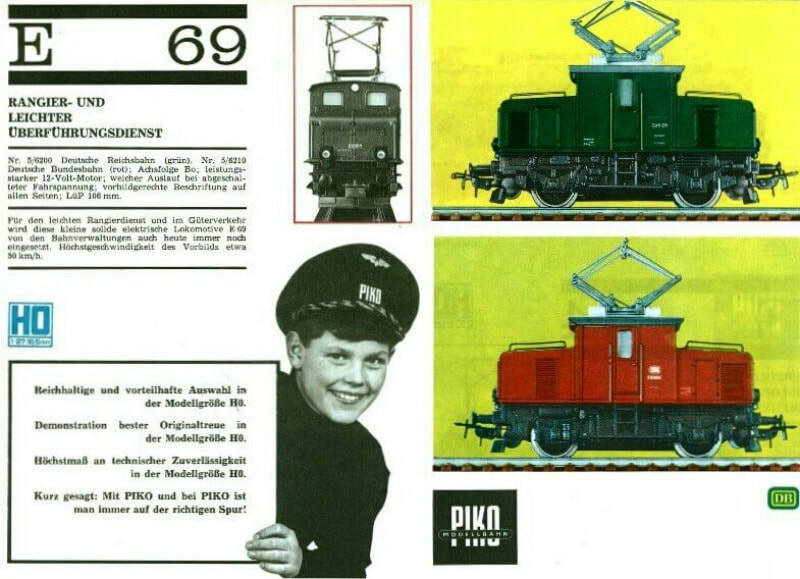 5/6200 was the green version of the locomotive while the Nr.5/6210 was the red version of this locomotive. 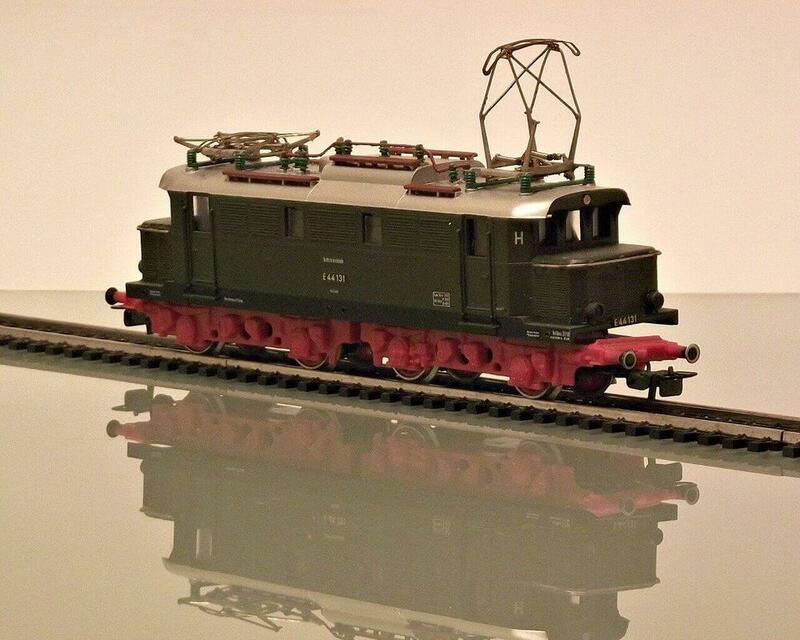 It is a 12V DC operated plastic model powered via the railtracks or overhead power line. 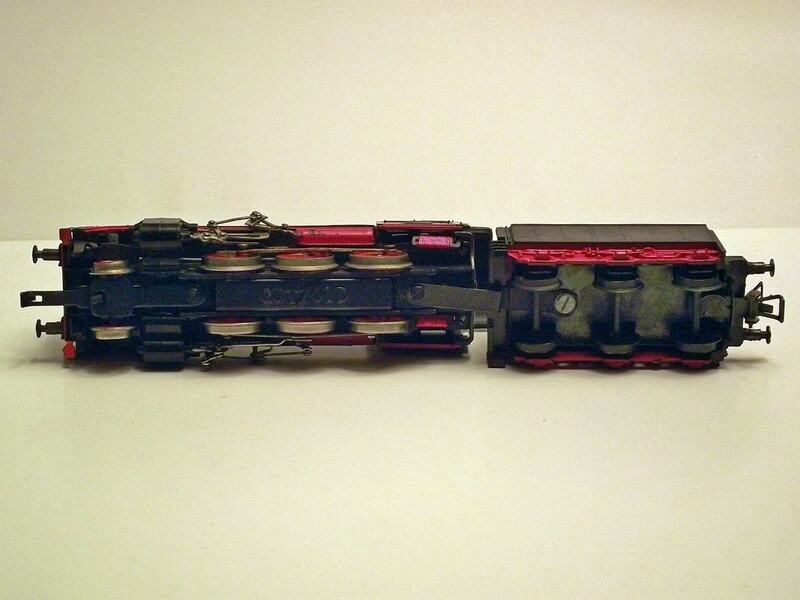 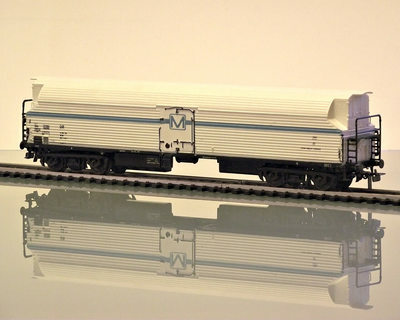 ​This is a HO scale model of a first class express-train car Aa, from the Hungarian railroad service MAV. 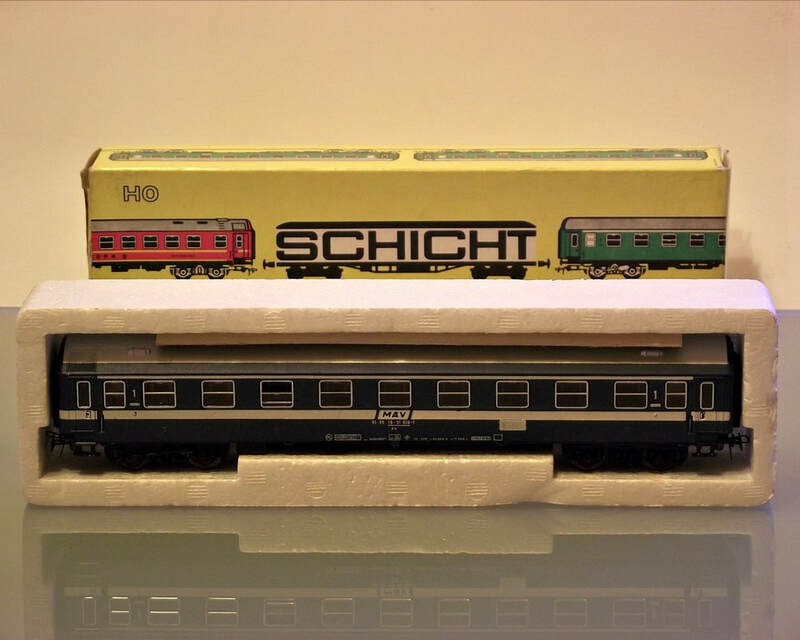 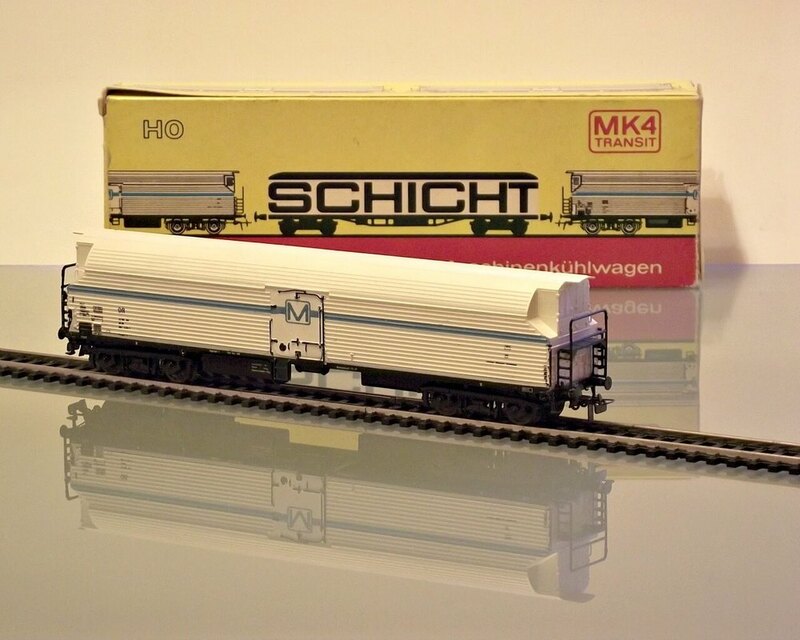 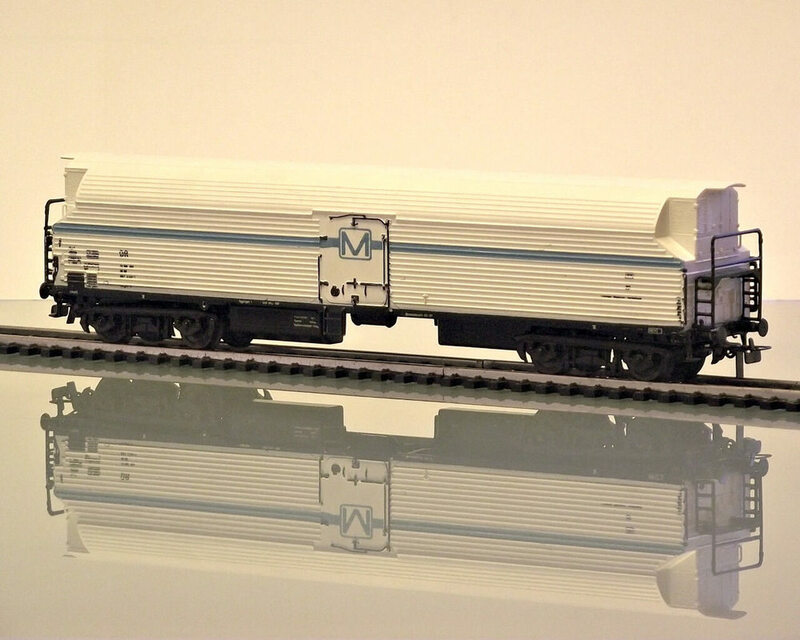 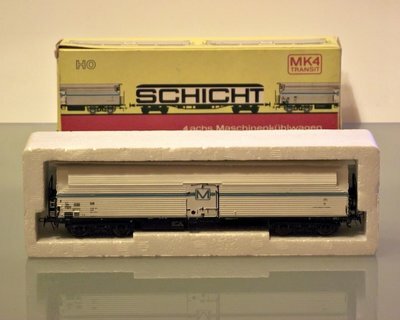 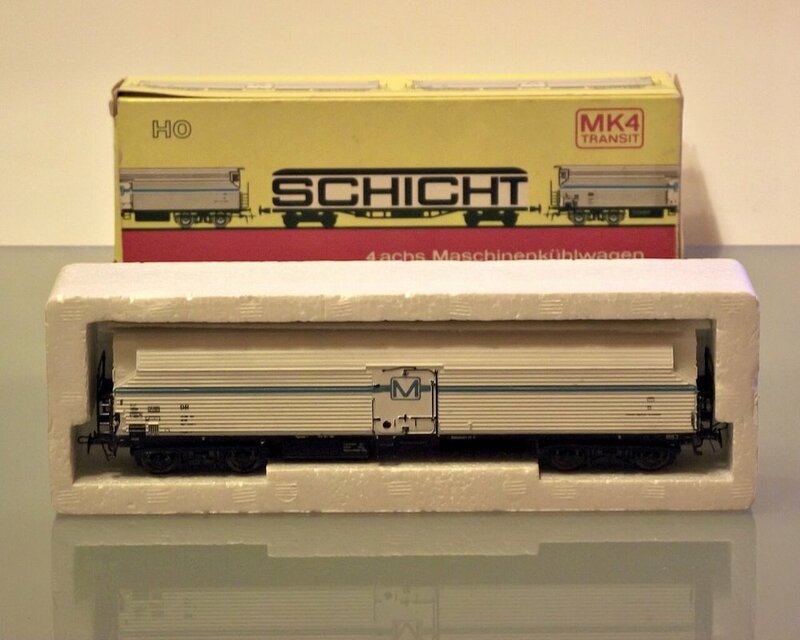 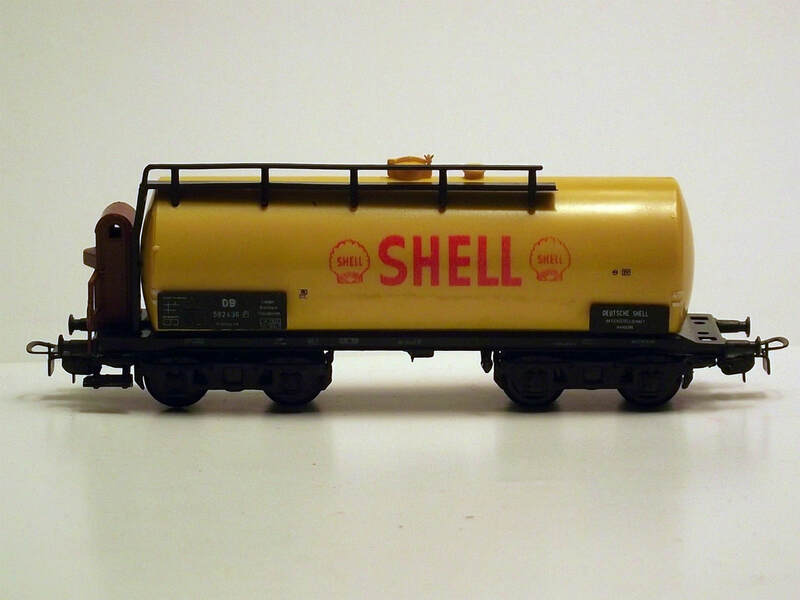 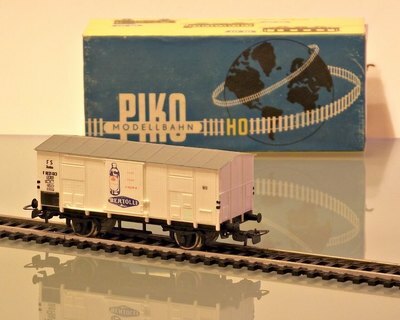 Manufactured by SCHICHT model railroading and presented in the PIKO catalog under Art. 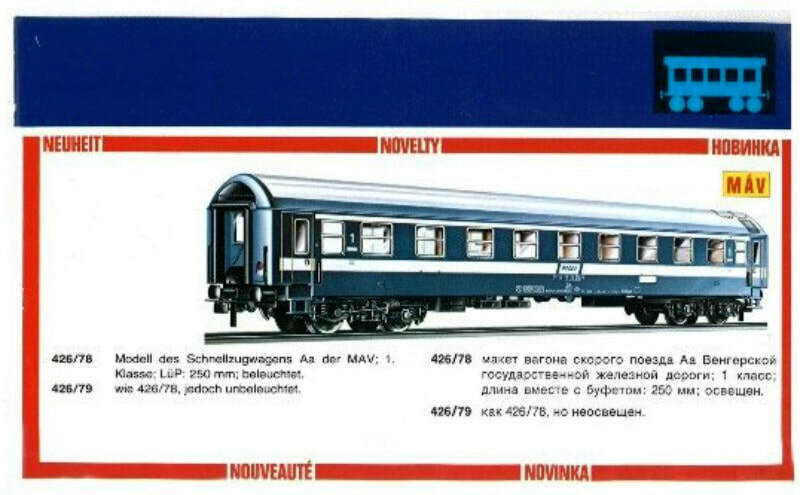 - Nr. 426/78. 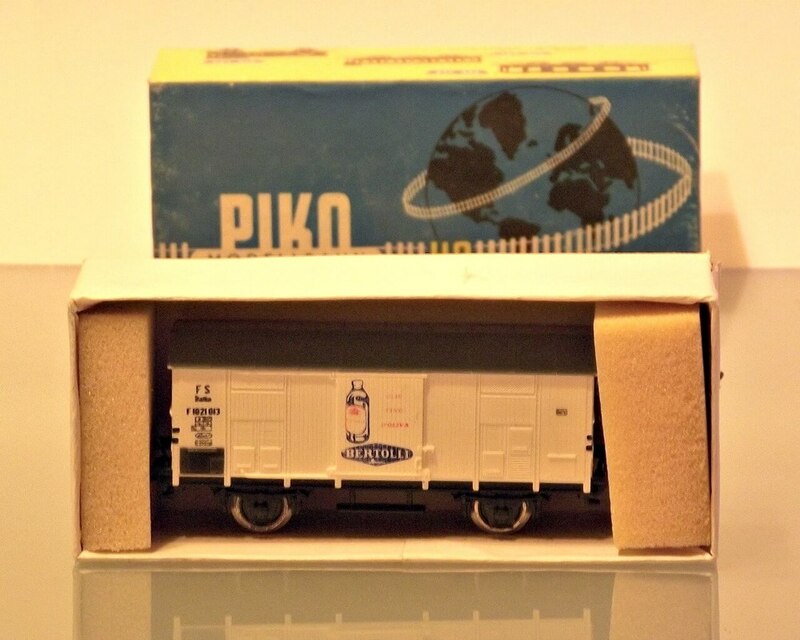 From the PIKO - closed goods van series. 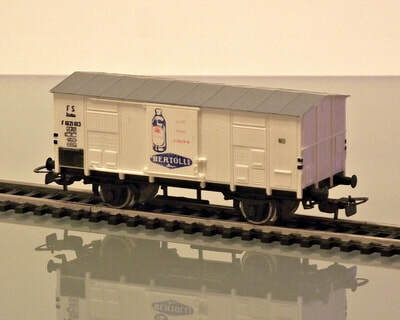 ​Model of a goods van of Italian type. 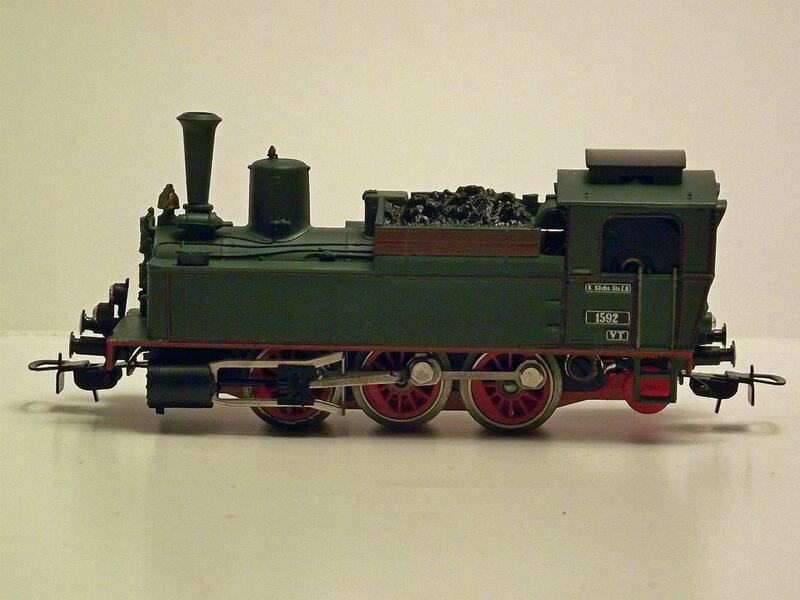 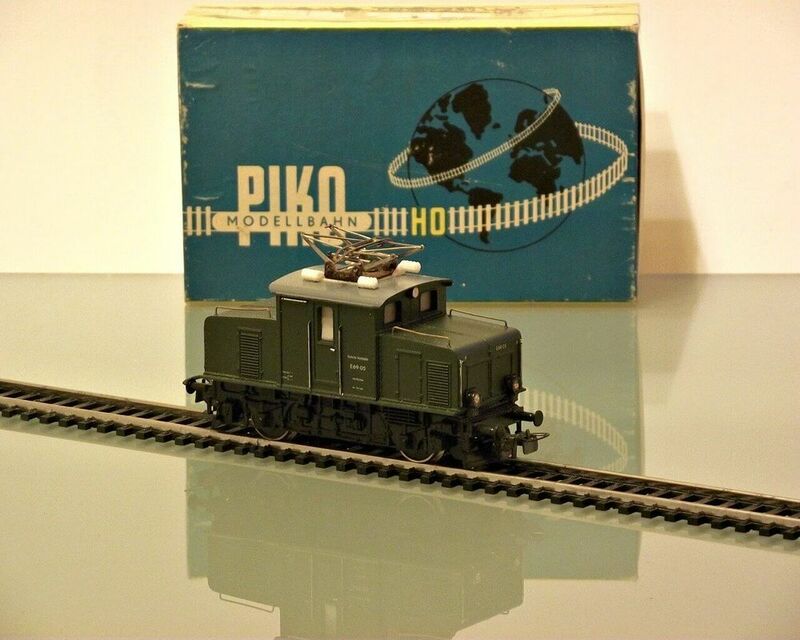 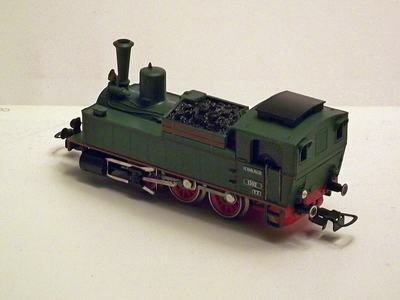 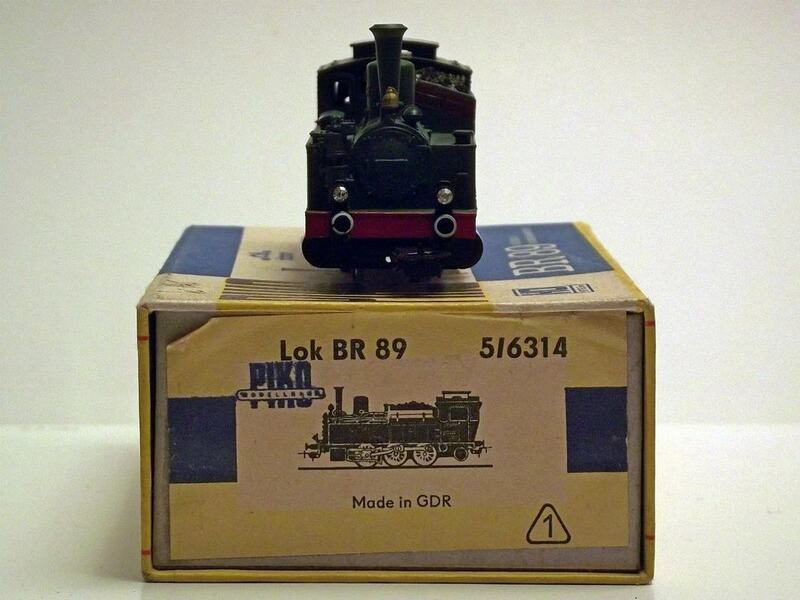 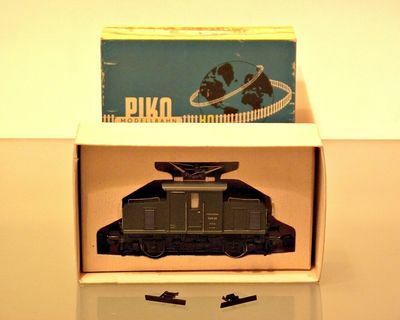 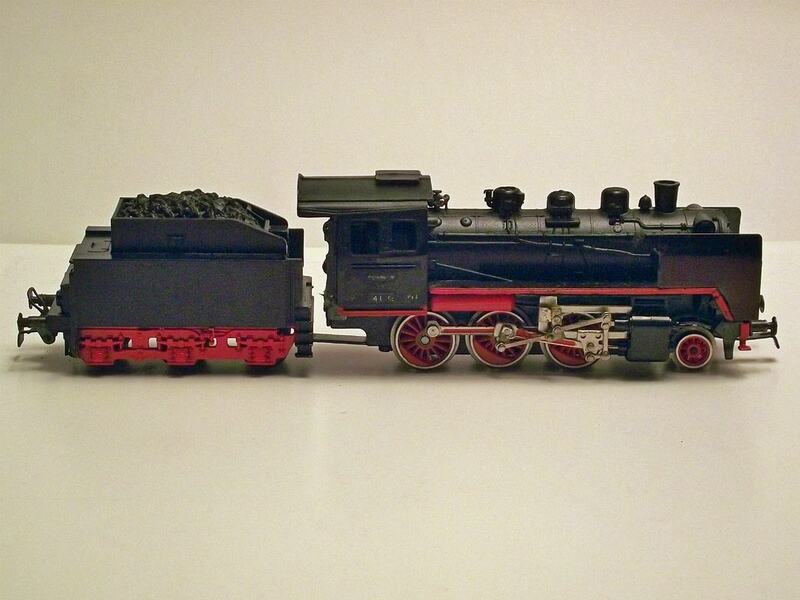 ​Built by PIKO at HO scale in 8 different versions, this is the PIKO Nr. 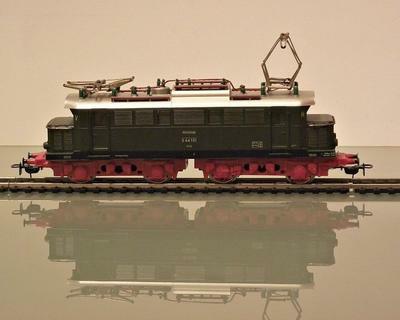 5/6448/107 FS Italia BERTOLLI. 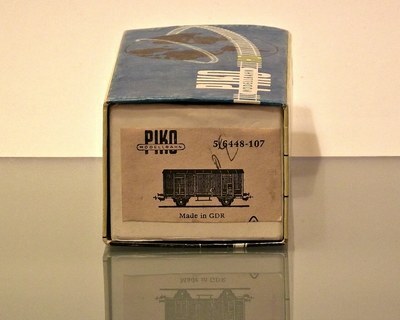 Manufactured by SCHICHT and presented in the PIKO catalog as Nr. 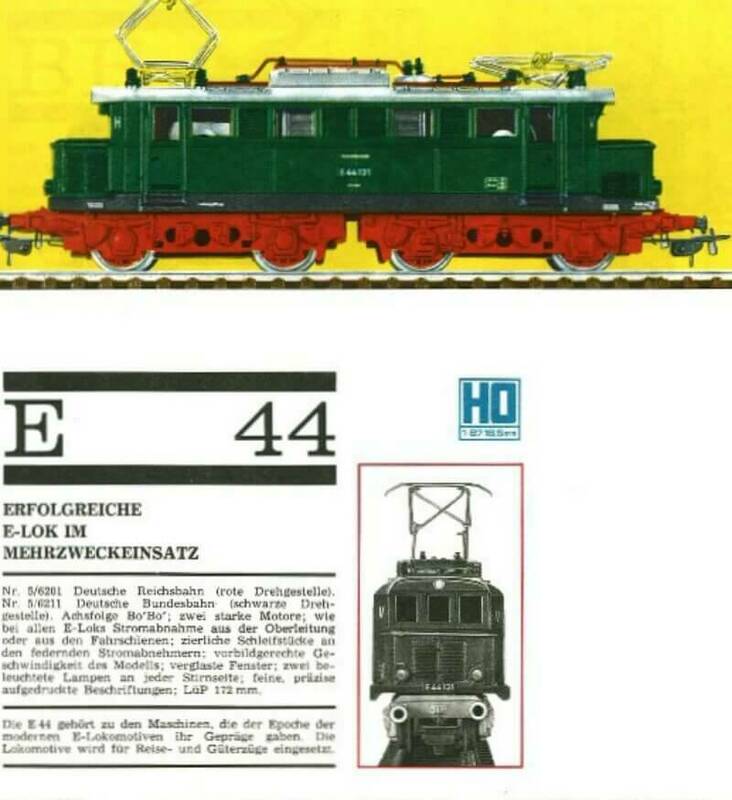 426/101. 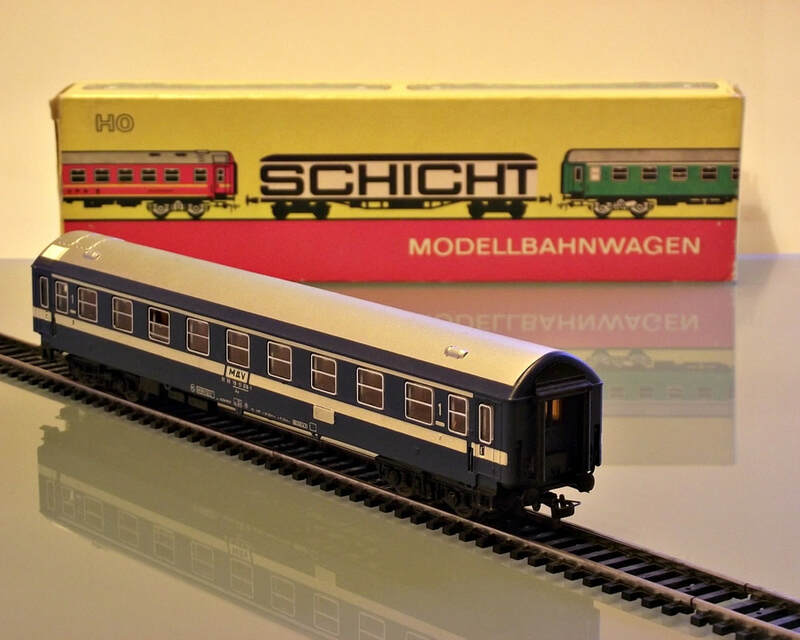 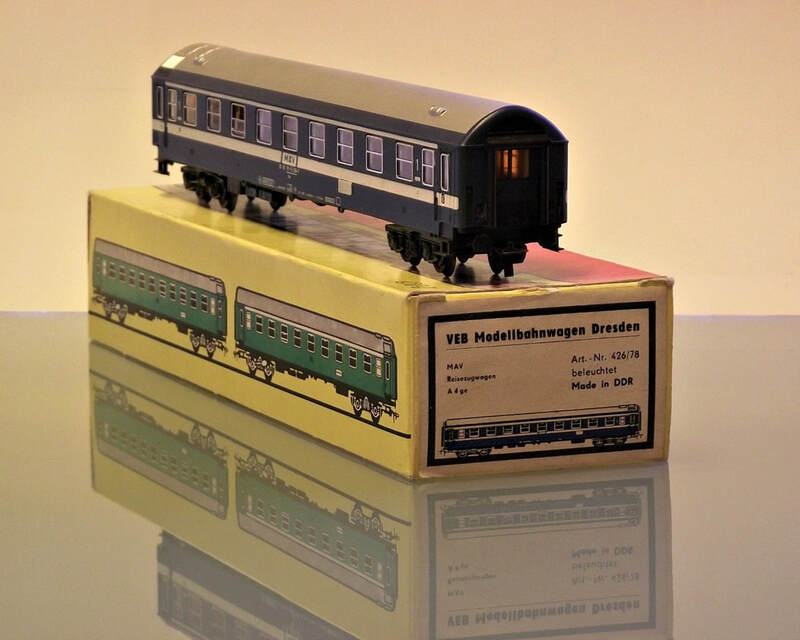 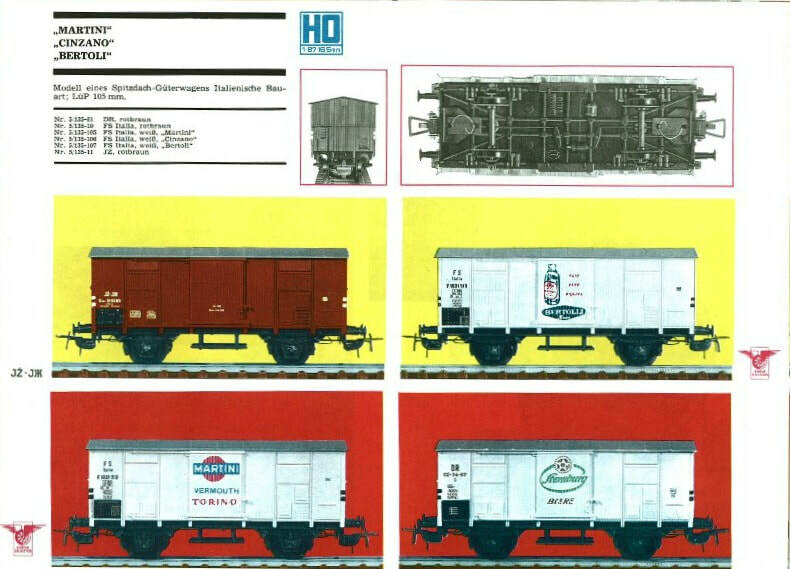 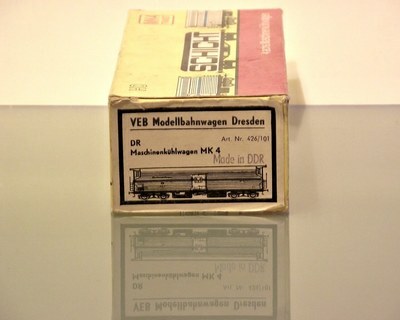 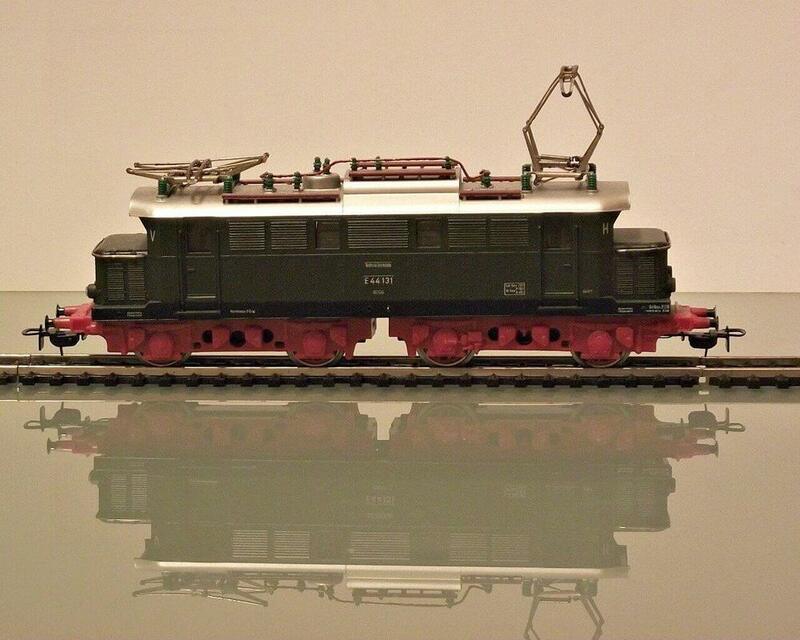 - ​This is the model of the MK 4 of Deutsche Reichsbahn refrierator wagon. 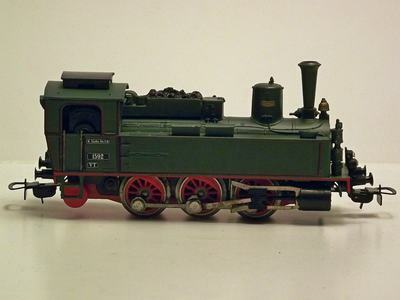 Type T Tehkor, lenght: 207 mm. Made by PIKO Germany around 1976 this is a replica of a SHELL tank wagon used by DB (Deutsche Bahn) - ​Model of the DR standard tank wagon with four axles, type ZZ 51, lenght: 142 mm. This is a 1:87 H0 plastic/metal scale model.